Sub-Zero, the industry leaders in premium refrigeration and wine storage, always capture our attention with their innovative creations. And why not? 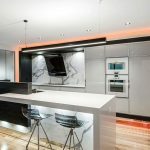 In today’s modern kitchen designs, functional storage is a must, so we were utterly thrilled to discover that Sub-Zero’s wine storage systems are fully integrated. They’re seamless and high-tech, using the best of modern technology to create a system that does all the hard work for you. It’s what Sub-Zero is synonymous with – but what’s catching our interest this time? Sub-Zero’s new range, which includes updated performance features and new sizes. 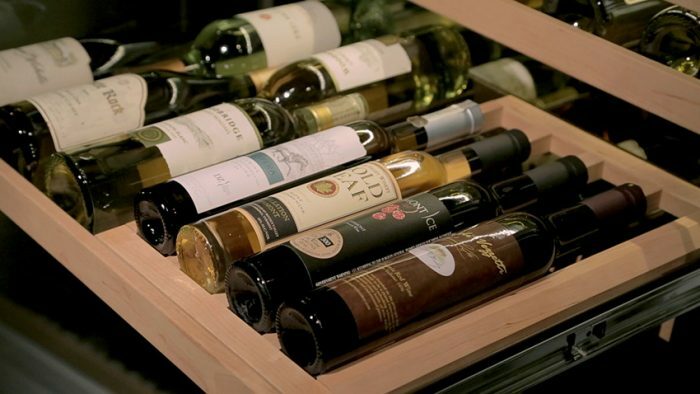 You’ll also see additions and enhancements to its line of integrated wine storage in what the team is describing as their “largest product rollout in company history”. To combat the four enemies of wine, the new performance features have been meticulously installed for optimum performance. A precise temperature control maintains temperatures in two zones (one for red, one for white – handy! ), cooling to within one degree of its ideal serving temperature at all times. UV-resistant glass, soft LED lighting and dark interiors protect the wines from hazardous light, while dual-evaporators eliminate humidity to ensure no wine gets damaged. Soft-close doors keep the bottles from rattling. 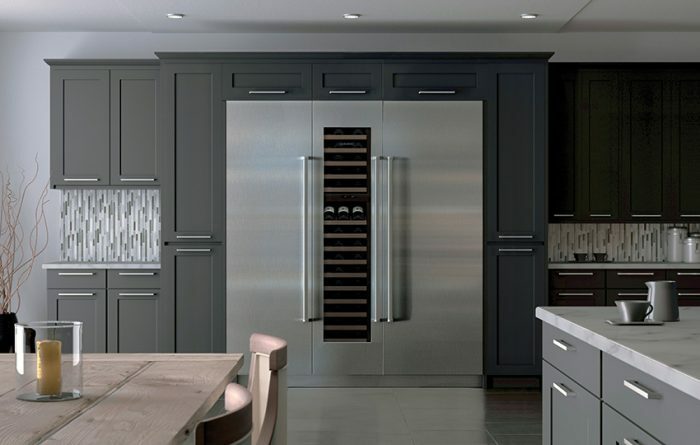 Full-extension interior racks complete the picture, covered with a coating that not only gives you full access to every bottle of wine, but also cradles each individually to prevent vibration. Three new widths are also available – in addition to the original 67cm integrated option, you can now choose from 46cm, 61cm and 76cm systems. 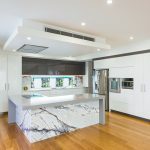 It’s perfect for mixing and matching your system to suit your own space. 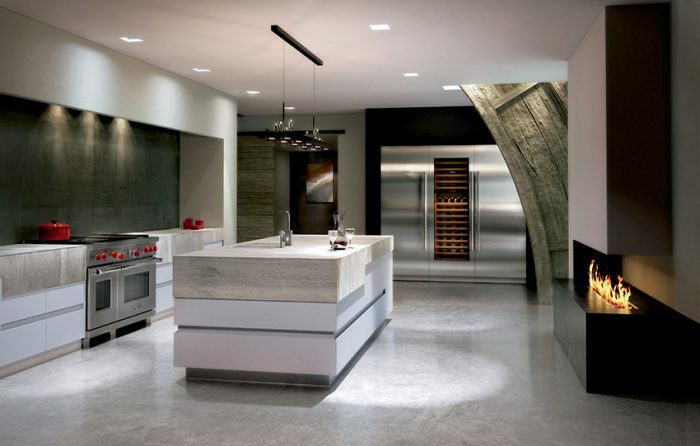 Regardless of width, the unit heights and handles match perfectly, keeping your kitchen look seamless and cohesive. Wondering what wines you’ve got stored? The tile inventory system will be your new best friend. From Chardonnay to Cabernet, each wine can be stored with their own label. Even if you’ve got an uncommon bottle hovering around, you can purchase blank tiles to create your own labels. Additional storage features are available for dessert wines and oversized bottles, meaning you can store specific varieties and sizes with others. 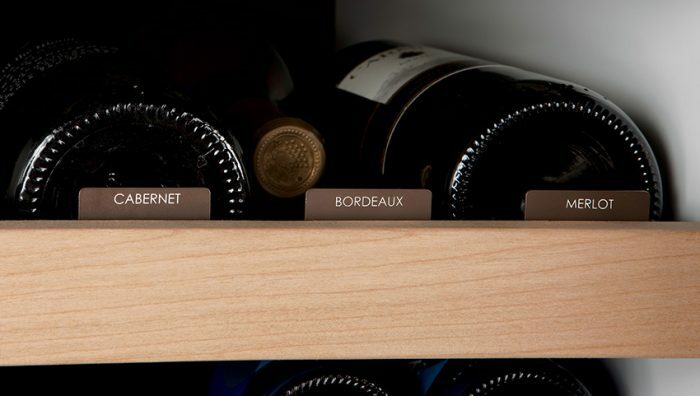 Organised wines – we love. Security is also a must with little tots in the kitchen, and Sub-Zero has definitely thought this one through. An accessory lock allows the unit to be secured and prevent anyone from opening it without a key. You can also connect your new wine storage unit to your home security system, even being alerted if there’s a power outage. 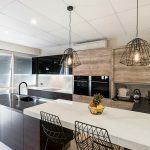 We’re seeing these leading-edge designs in plenty of Queensland Homes, no matter the style. After all, sitting back with a glass of red at the end of the week is somewhat of a luxurious tradition most tend to indulge in! 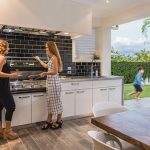 For more information about the full Sub-Zero and Wolf appliance range, visit Sub-Zeroonline or call 03 9421 0232.